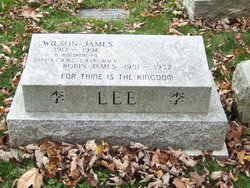 Dr. Wilson James Lee was born in Montreal in 1917. His father had immigrated from China as a teenager in the early 1900’s and his mother had been born in Canada. Dr. Lee was educated at Dufferin and Herbert Symonds Schools in Montreal. Dr. Lee attended McGill University earning a Bachelor of Arts degree in 1938 and his M.D. in January of 1943. 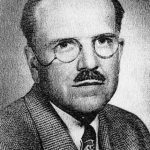 His medical training occurred during WWII, so studies and duty to country were interwoven. He interned after graduation at the Montreal General Hospital until November of 1943. This was followed by R.C.A.M.C. military training in Brockville, Ontario and Camp Borden. He was posted to the 25th A.A. Regiment in St. John’s, Newfoundland in February of 1944. In 1945 Dr. Wilson Lee was sent to Aldershot, England. V.E. Day was declared and he was sent back to Canada in the summer of 1945. Before being discharged from the army in May of 1946, he spent time in Longueuil, Quebec and the Montreal Military Hospital. Dr. Lee spent the next 3 years doing postgraduate studies in pediatrics. This training was received at Children’s Memorial Hospital in Montreal and Children’s Hospital in Halifax, Nova Scotia. Dr. Lee wrote the specialist exams in pediatrics of the Royal College of Physicians and Surgeons of Canada and was certified R.C.P.S.C. on the 1st of January, 1949. Around the time that Dr. Lee was certified in pediatrics, he married Mary Sue Oy Kwong. She was the youngest of 10 children born to Wong Kwong and the former Yvonne Lee Wong. Mrs. Lee was born on the 26th of January, 1922 in Edmonton, Alberta, but spent her childhood growing up in Revelstoke, British Columbia. Mrs. Lee’s parents were both born in China. Dr. Lee opened his medical practice in Chatham on August 1st, 1950. He was a member of the American Academy of Pediatrics, the Canadian Pediatric Society and the Detroit Pediatric Society. 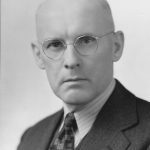 Dr. Lee was Chief of Staff at St. Joseph’s Hospital and the Public General Hospital’s in Chatham and he was the President of the Kent County Medical Society in 1967. Dr. and Mrs. Lee were actively involved in the Chatham-Kent Community. Dr. Lee served on the Board of Directors of the Chatham Y.M.C.A., the Kent County Children’s Treatment Centre, the Chatham Community Chest and the Kent County Diabetic Society. Dr. Lee was a member of the Board of Directors of the Ontario Medical Association for three terms. He received the St. Joseph’s Hospital Dedication Shield and the O.M.A. Glenn Sawyer Award. Mrs. Lee was a skilled nurse. She was the Head Nurse of Neurosurgery at Vancouver General Hospital. In Chatham, Mrs. Lee was the Environmental/Infection Control nurse at the Public General Hospital from 1969-1985. She was a volunteer with the Children’s Aid Society, The Chatham Library and sat on the Multicultural Council. Mrs. Lee was a member of Chatham City Council serving as an Alderman from 1985-1994. Mrs. Lee was a strong advocate for the sick, retired and the elderly….people she felt who paid their taxes and built this country. Dr. and Mrs. Lee had 5 children; Robin, Laurence, Adrian, Jacqueline and Jeremy. Their son Robin died in childhood. Their son, Dr. Laurence Lee became a physician. Their children Adrian, Jacqueline and Jeremy had careers in corporations in the transportation, telecommunications, consumer packaged goods, pharmaceuticals and chemical sectors. Jacqueline “Lani” died on the 25th of January, 2018. 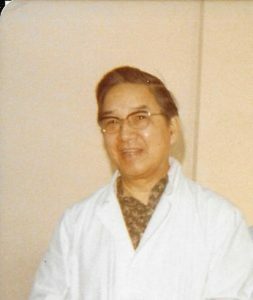 Dr Lee retired in 1985. Mrs. Lee retired in 1987. In his spare time, Dr. Lee enjoyed playing golf and he enjoyed playing the piano. Mrs. Lee enjoyed cooking and she was and an expert seamstress. Dr. and Mrs. Lee enjoyed spending time with their family and friends. Dr. Lee died on the 27th of January, 1996 and he was buried at Maple Leaf Cemetery in Chatham. Mrs. Lee moved to Vancouver, British Columbia in 2012. Mrs. Lee died on the 12th of April, 2018. *The webmaster is grateful for the input of the Lee Family.